Emotions are everywhere or so it seems. We can rule them or be ruled by them. Or we can come to a happy compromise. Our feelings can lead to excitement and discovery. If we can find passion in what we do in life then our days can be a bonus to us. If we put our sentiments aside and focus on our life we can learn to really make a difference. Accept the feelings you have. Do not fall for false sentiments. Use your excitement and passion for life. Accept all of this into your life and move on with your life. Not as best we can but in a positive, satisfying and productive way. What we cannot do is one thing - ignore them. Well, we can of course ignore our feelings, but is this the same as ignoring the fast moving train coming out of the tunnel towards us? It would be sensible and prudent to move aside and let the train through. We may not and perhaps should not move aside for our emotions and let them through. But we should at least recognize them, give them due and reasonable credit and deal with them in as dispassionate manner as we can muster. But they grab me, don't they grab you? Yes, that is the power of emotion. They come in, often when you are most vulnerable, and seem to take over. Rule the roost. Plot there own roller coaster ride course and then, perhaps when we are finally close to coping with the situation, and getting on top of the situation we find ourselves in, the feeling is off. Leaving us in a slightly (or more) battered state and prone to other outside 'influences' that may wish to come visit us or will see us as fair game. And what are we responding to? What is it that these feelings initiates in us? 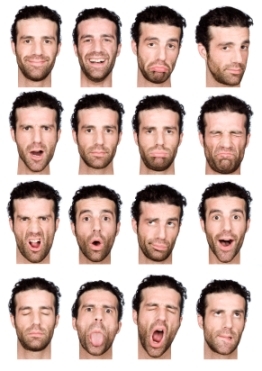 What process are we going through - in general terms - that the emotion introduces to us? What does the emotion present to us for us to grab onto in some way? What are we opening ourselves up to which we react or respond too? Are we getting acquainted or re-acquainted? Will one emotion evoke another? Should we invite them in? Is there something to learn from here? Is life trying to teach us a lesson? How can we stop this emotional roller coaster? And what exactly is happening? How does this all affect us - or can do so ...? Is it beneficial or detrimental? Is this natural and a part of life we have to accept? Is this unnatural and we should be firmer, more stoic and avoid all contact - but where would that leave us? In what state would we be? How would that stance affect the rest of our lives? Is this a side issue or the main issue at the time - just an act in a play or a full color HD movie and we are the main player? And the types of situation we may find ourselves in? What is the initial catalyst for our reaction? Are we acting or reacting? Are we taking the whole thing seriously enough? Are we being bombarded or is it an isolated occurrence? Is the emotion just another thing - and in some cases the straw that breaks the camel's back? Are we the stimulus or the situation or is another person involved? Where are we at or what are we doing or what are we feeling when the 'emotive strike' occurs? Is it one of the following? The list given above is not all encompassing - nor is it intended to be. It just illustrates the range and differences in the field of human emotion. The range . . . The above listing shows the range of feelings that we can feel in our everyday life. At times days and weeks can go by and all seems quiet on the emotion front. Then in a short space of time a varied bunch of feelings, sensations, sentiments and passions seem to come in a flood. we may need to turn the other cheek and send out a challenge - are you real and important and worth responding to or should I swat you away or ignore your presence as being insignificant and not worth the time and trouble, energy and effort? Yet even when we are in there deep and feeling lost and alone, there are moments or periods of happiness and joy that we can experience and take solace, strength and support from. Do we need help or can we tackle this alone? Or is the real question now how do we tackle them but why should we need to tackle them? Is there a more important question? Why do we have to cope with this array of sensations? would we rather be totally unemotional and unfeeling? is it not better to feel passion and compassion? is it not better to experience love and joy? is it worth feeling hatred and anxiety to more fully understand friendship, contentment and satisfaction - where would the yardstick be otherwise? will they not make us stronger and more resilient in future? We have lived through many, many similar situations before and need to take comfort, strength and belief in ourselves from those experiences. On these web pages I intend to look more closely at some of the above feelings and sensations in a bit more detail. My aim will be to unravel some of the myths and to help us all to seem them in an easier and more welcoming light. That we can actually learn a little from their appearance rather than just fall prey to successive waves of feelings, anxieties, joy, love, hate, good, bad in varying quantities and guises. Perhaps by understanding the processes a little better we may see the wood for the trees and be able to handle this aspect of life in a more productive, pleasing and satisfactory way. Emotions are here to stay. If we can invite them into our life or at least accept their existence and learn from their coming then this whole part of human life may well be more worthwhile for us. If, however, we fight them tooth and nail, all the way to the very foundation walls of our existence - where does that really leave us? Do we really want to be down-trodden, battered and bruised, cut and graized by our emotions and left for the winds of life to swirl around us as we lie prone and vulnerable. Our feelings may serve a real purpose - which admittedly may not be that clear at the time - that may help us to move us on in our lives. Give yourself the credit for having the strength, resolve and abilities to meet the challenges of life - in whatever form they may appear. Why not have a look at the following 'emotion' pages . . .? "The walls we build around us to keep sadness out also keeps out the joy." "Flowers are restful to look at. They have neither emotions nor conflicts." "Whatever we plant in our subconscious mind and nourish with repetition and emotion will one day become a reality."